Today’s guest is a total and absolute inspiration, New York Times bestselling author, keynote speaker, and leading social scientist for business performance, Joseph Grenny. Ever since we met, Joseph has always been quick to endorse and encourage my work and I am thankful to call him a friend. Joseph is an expert on understanding how to influence groups of people to create profound, rapid, and sustainable change, whether it’s at a familial, business, or political level. 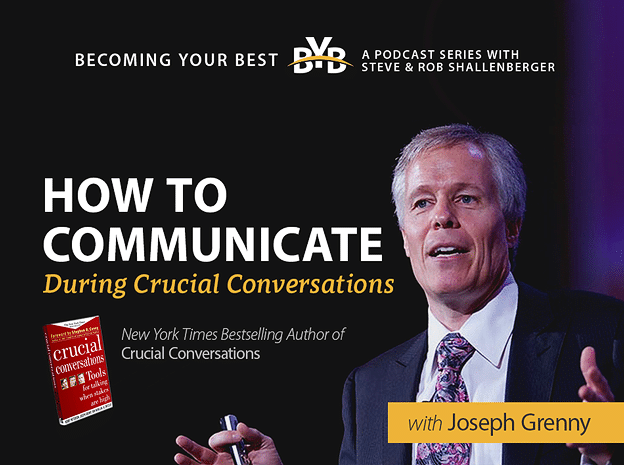 As influencing others is arguably the main job of any leader, it’s needless to say that Joseph has a lot of wisdom to share from his research and his book, Crucial Conversations.